Don't pass this hidden gem! 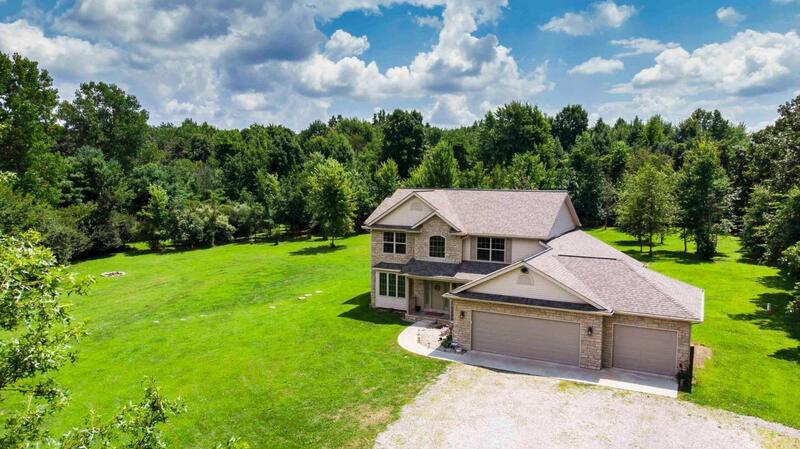 This beautiful custom built 2-story, 4 bedroom, 2.5 bath home is on 9 park-like private acres! Situated in Johnstown-Monroe Schools only minutes from Rt. 161 Expressway, only 20 minutes to Easton or 20 minutes to Newark. This home offers a first floor master suite, first floor laundry, and 3 car garage. Pellet stove has its very own thermostat along with a geothermal system. The great room has a cathedral ceiling and bonus room upstairs gives space for the kids or office. Full basement with 9ft walls has rough in for bathroom, just add your finishing touches. You will love this quiet and serene private setting where wildlife abounds!